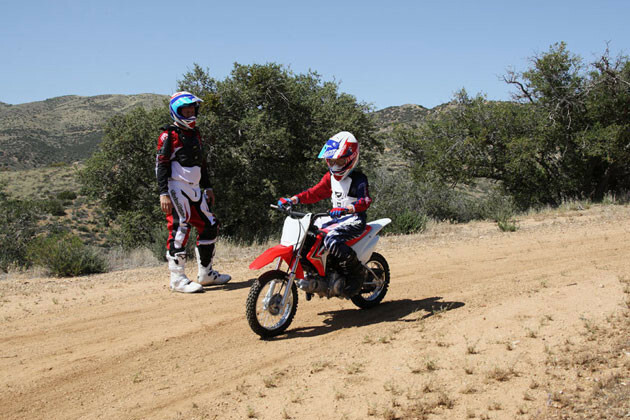 Designed for the younger generation of riders, the CRF110F is the perfect fit for 8-11 year old riders looking for big off-road thrills. 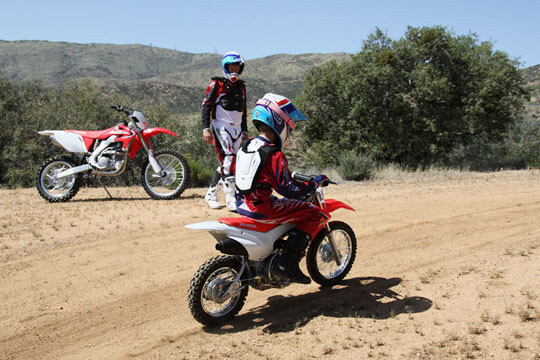 The 109cc four-stroke engine offers breathtaking power and torque, whilst the responsive four-speed transmission will leave the competition behind through tough terrain and sharp bends. 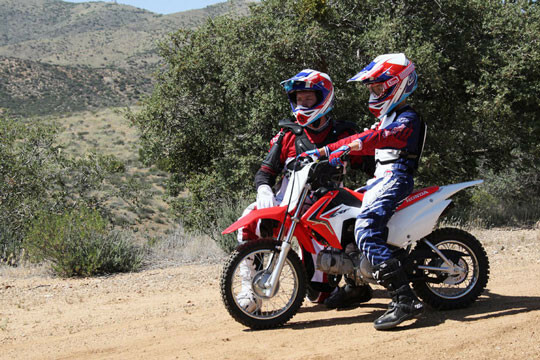 The CRF110F offers seriously grown-up features; the latest racing-inspired graphics lends big-bike appeal to the compact 74kg ride, and a steel backbone frame and swingarm balance rigidity and flexibility to allow the rider to fully exploit the engine’s capabilities.